Choo! Choo! What preschooler doesn’t love a train activity? And this train activity teaches shapes. Honestly, it’s one of my favorite ways to introduce my preschoolers to beginning geometry. Yes, you read that correctly. Preschoolers can even do geometry. Have you ever noticed that young children are naturally drawn to blocks? In fact, a baby’s ability to stack blocks is often asked at well child check-ups. The ability to do so is indicative of so many cognitive and future math skills. Your pediatrician starts asking about colors and shapes at their four-year check-up, too. That’s because preschoolers not only have an interest in beginning geometry skills, but they are also very capable of it! What Does Geometry Look Like in Preschool? Geometry is a lot more than simply knowing shapes. It’s also about how to manipulate those shapes and how to fit them into different special concepts. For example, completing puzzles is a beginning geometry skill. Children are given a shape of some sort to fit into another shape, thus requiring them to manipulate the puzzle piece within a set space. Sounds a bit like developing spatial awareness, right? Well it is, and that’s an important skill for preschoolers as they are learning, even, how to manipulate their bodies to fit in the available space. Ever seen a preschooler try to sit on a specific mat during circle time and completely miss it? That’s not just a lack of coordination. Understanding of positional words, such as up, under, around, below, etc. 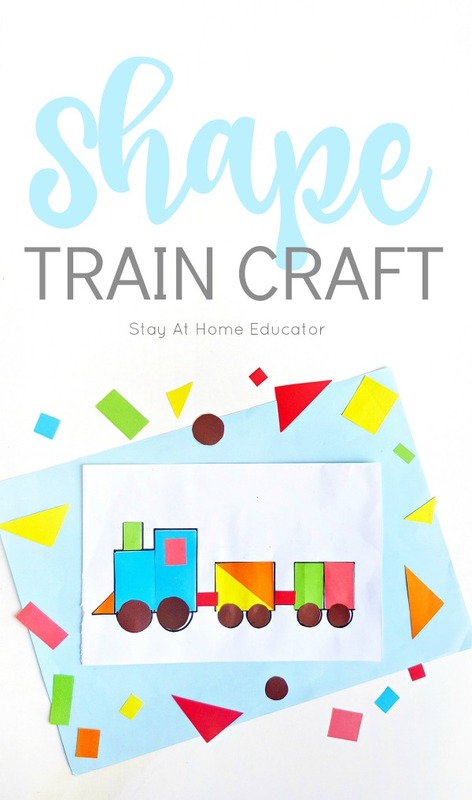 So, do I need to explain why I adore shape activities like this train craft? Clearly, it’s loaded with lots of early geometry skills for preschoolers, but also…trains. 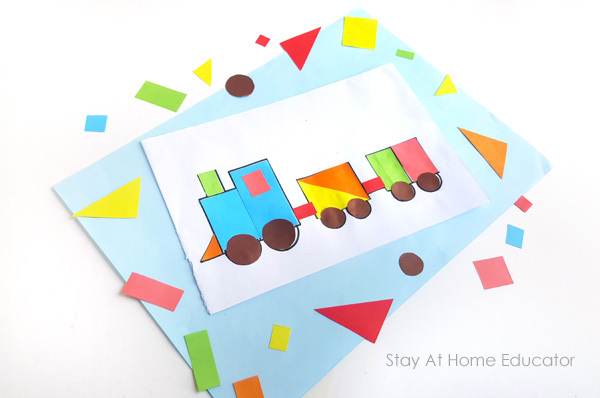 Kids love trains and this shape activity fit in perfect with your transportation theme. Now, let’s be honest here. This train activity requires a little too much scissor skill than your average, or even advanced, preschooler is likely to have. So I cut out the shapes pieces myself. Which was okay because my main goal around shape activities like this one is about the math concepts, and less about the fine motor skills involved. 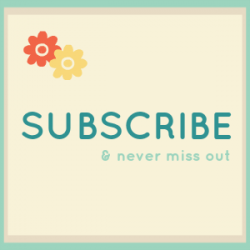 Place all the shapes on a tray with some glue (or save the glue for later…read my reasoning below) and a copy (or three) of the FREE printable template found at the end of this post. Now, I know my own preschoolers well enough to know that as soon as they grab a glue stick they are going to start gluing the shapes all willy-nilly. 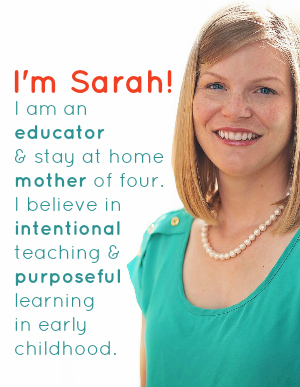 And that it perfectly ok if your goal is about process and art, but my teaching goals were about teaching my preschoolers beginning geometry skills. So, our first step is always just to play and experiment with the shapes…and not glue them yet. 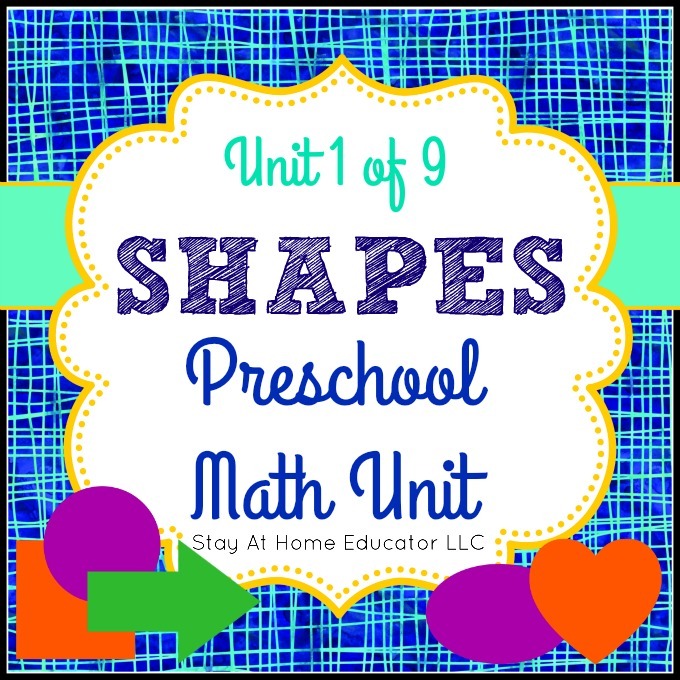 Allow your preschoolers to simply arrange the shapes as they would like. Maybe the want to lay them on the train template, maybe they want to sort them by color, maybe they want to use the shapes to make a flower. 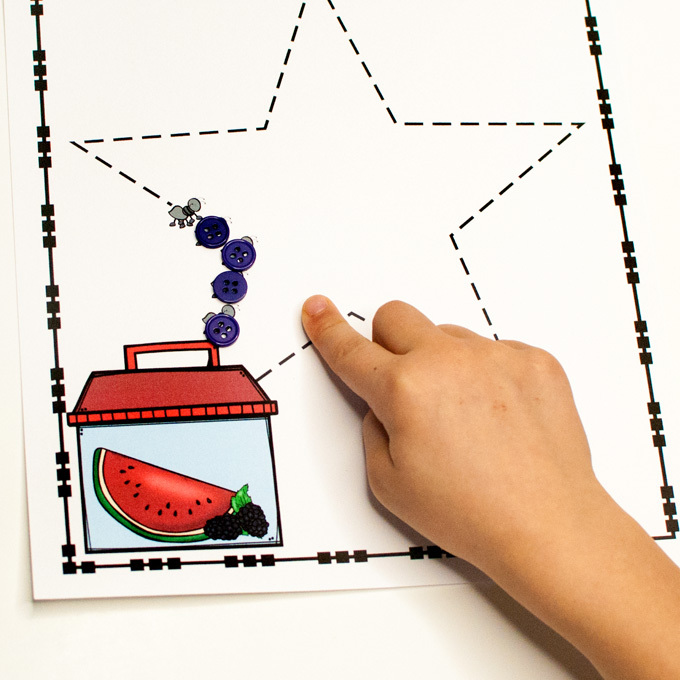 Shape activities like this one are most successful when there is a facilitator, such as a parent or teacher, talking the preschooler through the choices they are making, and asking questions to make the preschooler question various alternatives. What colors can you use to make your train? What other shapes can you sue to fill this train car? How many shapes have you used in your train? How many different ways can you make ___ shape? What would your train look like if you added a ___ here? 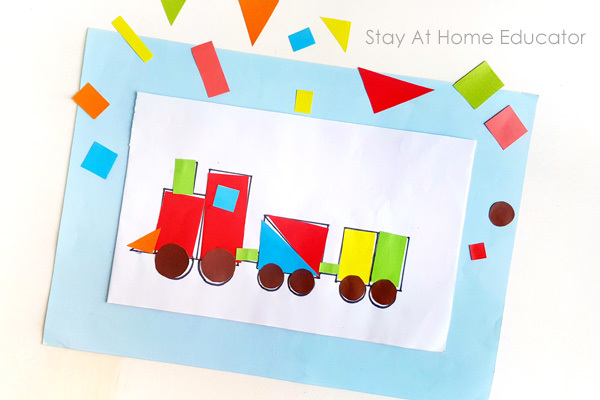 How can you use the shapes to make your own train [without a template]? 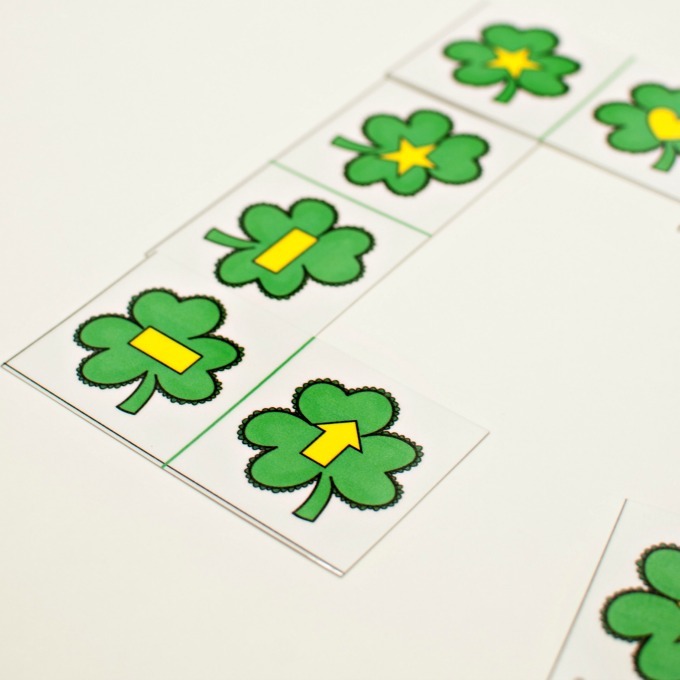 Do you have a favorite train activity that What other shapes and early math concepts? Want this Shape Train Template? Add this to your transportation theme or your train theme. Put it in your math center or even your art center! 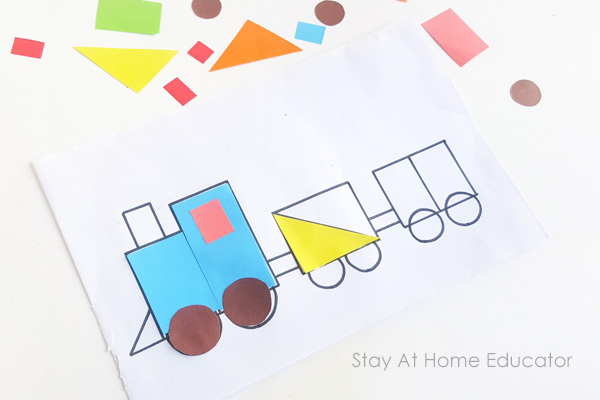 Grab your copy of the shape train template by clicking the image below. 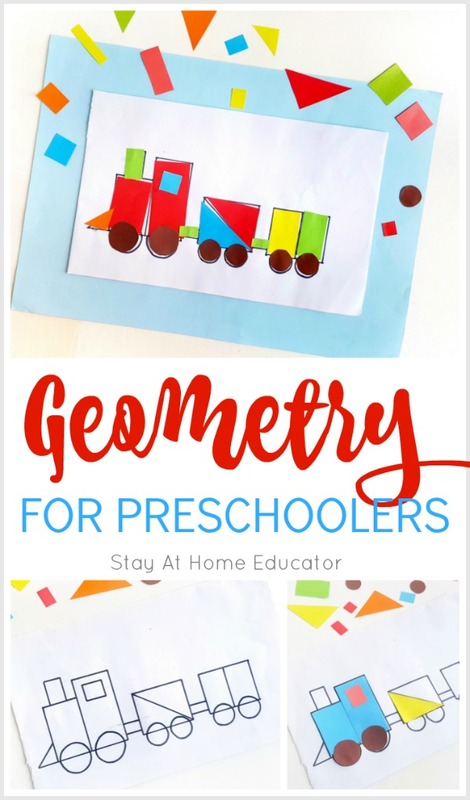 Looking for More Geometry Activities for Preschoolers? You might enjoy some of these, then! OK i must be blind, i dont see the free template for train anywhere, says click below and it is an ad for ibm. It was easy to find the download for the rocket ship so thanks for that. cheers. 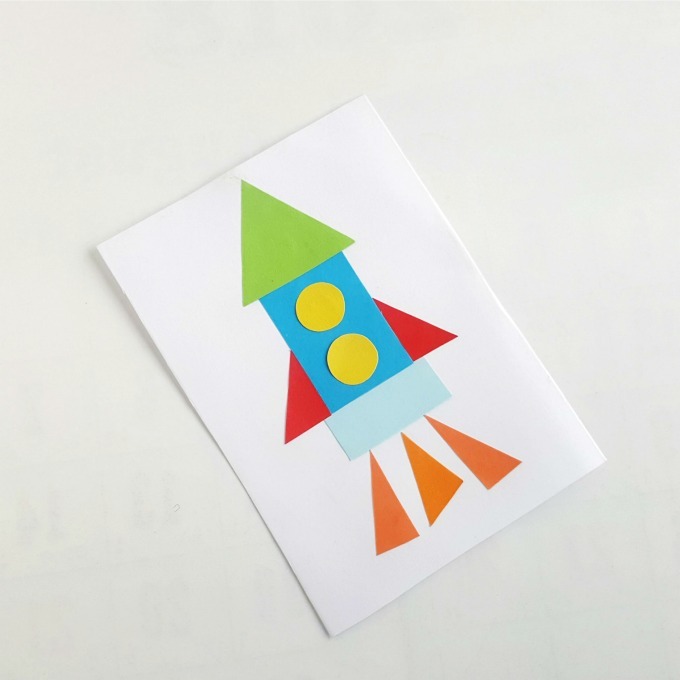 Glad you liked the rocketship! The train printable is at the very end of the post, after the list of color activities from other bloggers. 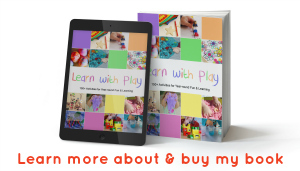 Just look for the same Stay At Home Educator download image. I can’t seem to locate the download button neither! I’m not sure why they are not pulling up for you. There are several books lists that link to Amazon (so you can get the full description for each book) at the end of the post.